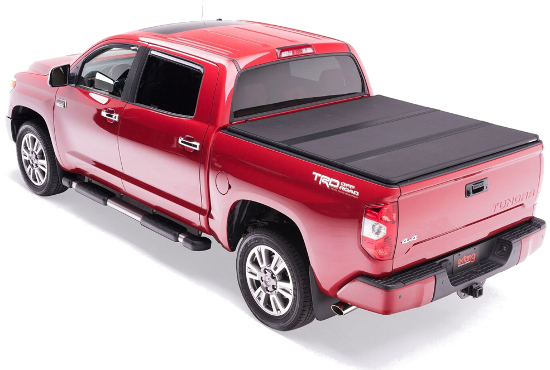 Extangs latest generation of hard tri-fold truck bed covers include design elements that you simply will not find anywhere else. 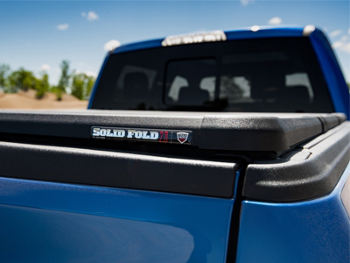 The Solid Fold 2.0 now includes Extangs exclusive, patented Jaw-Grip and EZ-Lock clamps, EnduraShield panels, revolutionary snap-on perimeter seals, and integrated corner and hinge seals. 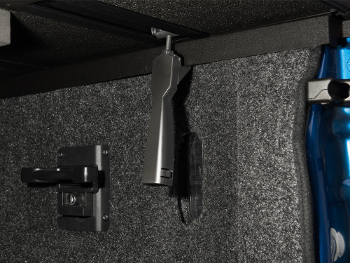 The Solid Fold 2.0s EnduraShield panels feature an automotive grade polymer that resists denting, scratches, and UV induced fading better than aluminum or fiberglass panels. 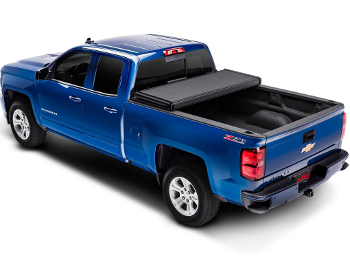 Extangs professionally engineered aluminum frame and hinges are power coated to match your trucks bed caps for an integrated cohesive appearance and incredible protection from wear. The Solid Fold 2.0s robust, 1 thick panels are incredibly sturdy but remarkably light, thanks to Extangs exclusive use of a closed-cell polypropylene foam core. 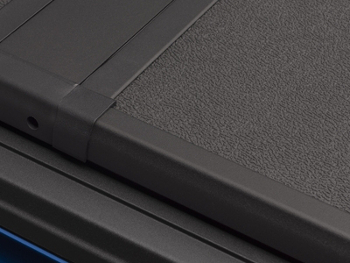 Extangs panels offer superior thermal stability and stay cooler to the touch on hot days. The leading edge of protection from the elements is Extangs exclusive perimeter seal. 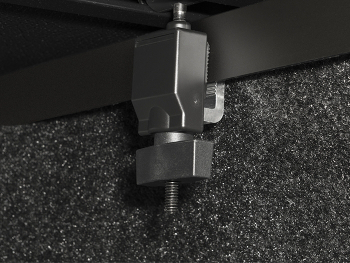 Extangs seals snap onto our perimeter frame without adhesive and our new and improved hinge corner caps are coextruded to permanently attach the fin seal to the frame. The Solid Fold 2.0s resilient seals will not peel away or fold under pressure and are designed to withstand thousands of opening and closing cycles. 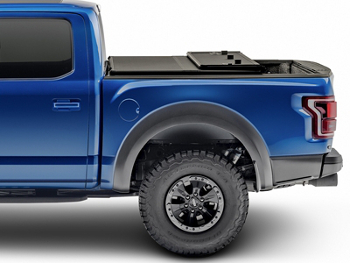 Extang's exclusive, lightweight, 1-inch thick EnduraShield panel has a polypropylene core and provides the ultimate in dent resistance. It is cool to touch on hot days and will not fade in the sun!